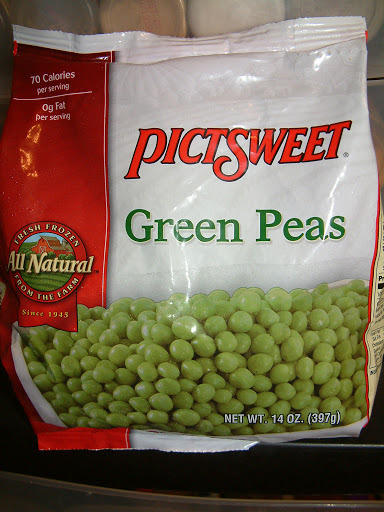 I’ve brought a lot of candy and desserts into work lately and some of my co-workers declared I need to make something healthier, so I went for this salad option that I found in my mom’s recipe box. 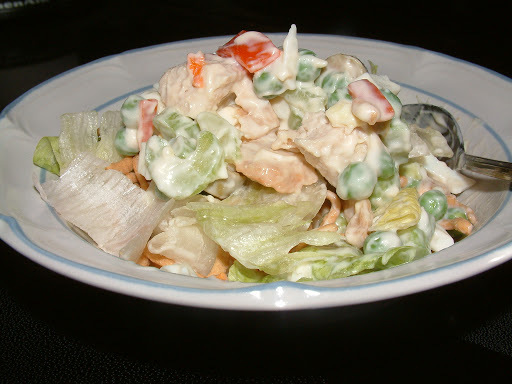 This recipe is easy to make ahead of time. 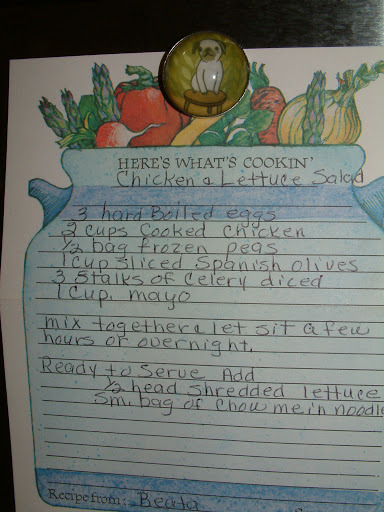 Rather than add all the lettuce and Chow Mein noodles at one time, I chose to add them to single portion sizes. 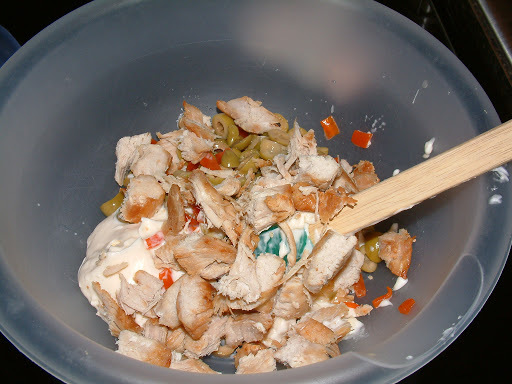 I also experimented with adding Ranch Dressing to the individual serving sizes, for some additional zing, and another time I added some sharp shredded cheddar cheese to a serving. Both were tasty variations. 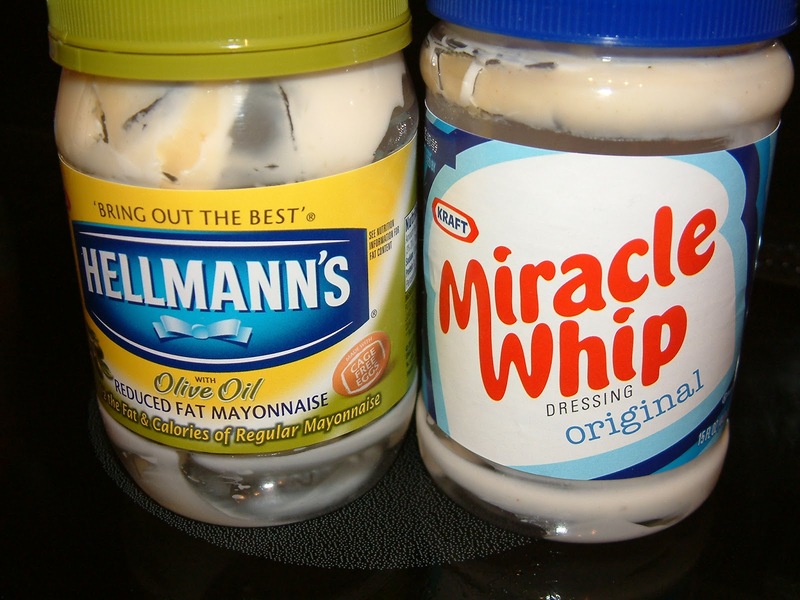 You can use either Mayo (Hellmann’s) or Miracle Whip! 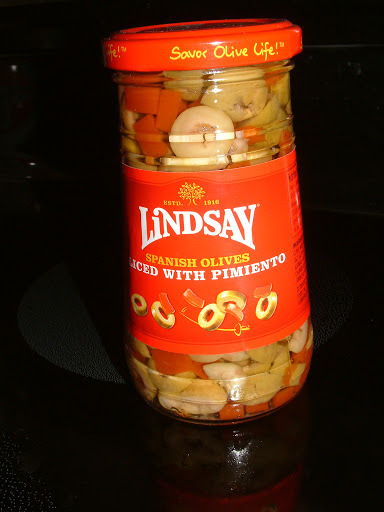 Mix together and let sit a few hours or overnight. 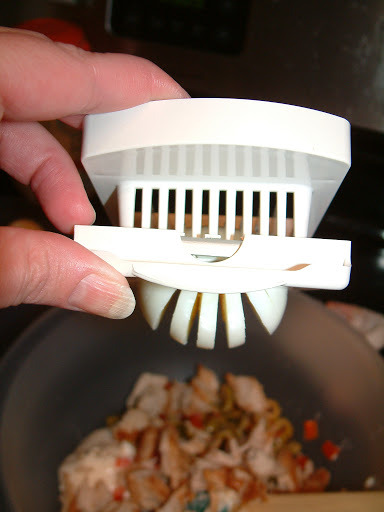 This handy dandy tool from Pampered Chef makes quick work of slicing and dicing hard-boiled eggs. If you catch the egg coming through, with your other hand, you can reposition sideways on your tool and slice again for smaller pieces. 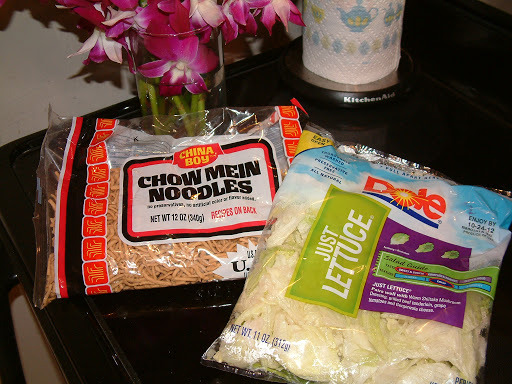 Ready to serve: add 1/2 head shredded lettuce small bag of Chow Mein noodles. I fried four chicken breast cutlets in coconut oil. 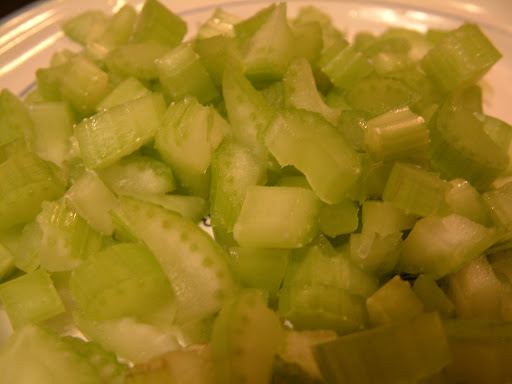 I didn’t time them, but I did cut them open half way through cooking to make sure the insides were cooked thoroughly. I’m paranoid about undercooked meat. I’m becoming a big believer in using meat thermometers. This chart (http://www.foodsafety.gov/keep/charts/mintemp.html) is a great resource on what temperature meat should be cooked to. 165 degrees Fahrenheit is the standard for poultry. 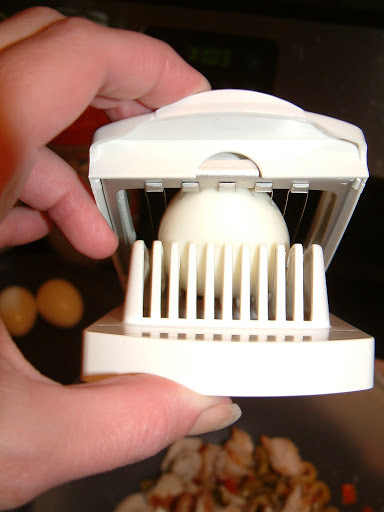 Regarding hard boiled eggs, I have found as many instructions online as there are people on the planet. The variation of the instructions that seems to work the best for me (at least for the small batches I do, which is usually never more than six eggs at a time) is to place the eggs in a pan with cold water. Bring the water to a rolling boil, or as I like to say, a “hearty boil” (you know, not just little bubbles, but really big, robust bubbles), then remove the pan from the burner, immediately cover the pan, and start the timer for 12 minutes. 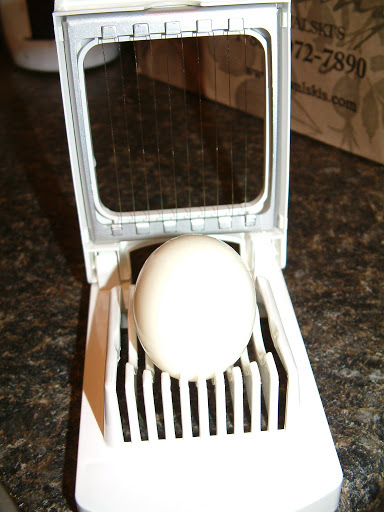 This seems to get me great hard-boiled eggs every time. The rest of this recipe is pretty self-explanatory. 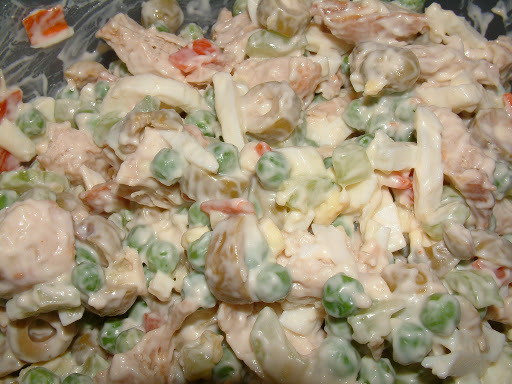 This entry was posted in celery, chicken, Chow Mein noodles, hard-boiled eggs, lettuce, mayo, Miracle Whip, peas, salad, Spanish Olives. Bookmark the permalink.